Have you ever stood in front of work of art, heard a song, read a poem, or watched a performance or film that moved you to speechlessness or tears? 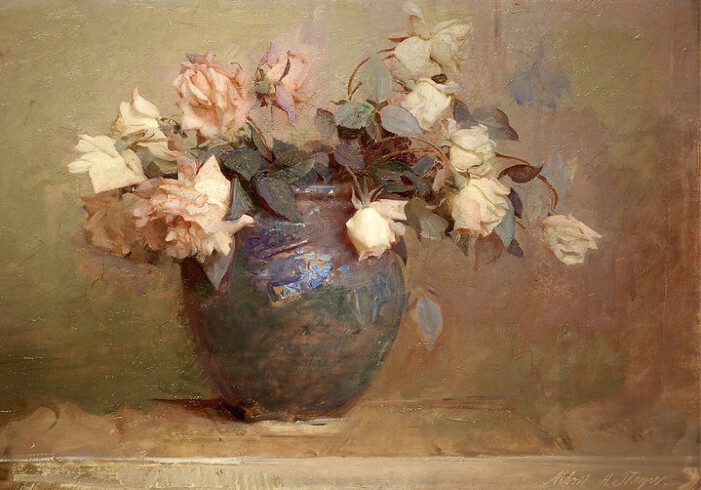 Why do certain art and artists cause that kind of reaction? What brings a crowd to their feet or causes someone to stop and stare? There are numerous theories, and each person’s reaction to art is unique, but I think in general most human beings are hardwired to respond to greatness. When we witness another person doing what he or she was born to do, in a moment of peak talent or performance, better than almost anyone before or perhaps after him or her, some internal alarm goes off and we are forced to pay attention. Perhaps we realize this is a special and original moment, like a rare and spectacular sunset, that we may not get to experience on that level again in our lifetime. Sometimes art is great simply because the artist was so genuine and honest in the moment of creation that the emotion lasts and still resonates many years later. 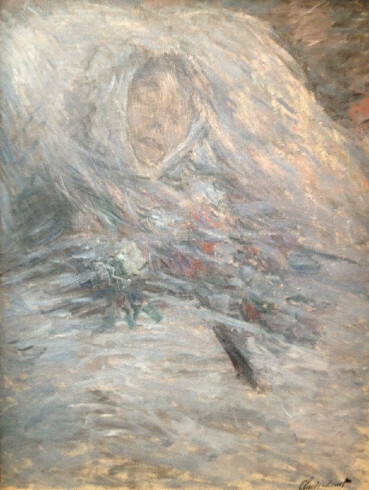 I remember seeing a particular painting in the Musée d’Orsay in Paris a few years ago that “stopped me in my tracks.” It was Monet’s portrait of his wife Camille on her deathbed at the young age of 32. Considering the subject matter, it is amazing how much peace and light emanate from this portrait. She is all in white -- rather than the typical dark colors that are often used to represent death and illness -- and there is such tenderness in the way he painted her. Looking at this painting in person, I felt Monet's love for her, his despair at her passing, and his courageous instinct to use his art to reconcile what was surely one of the darkest hours of his life. It’s a painting of true beauty, a real, gutsy moment captured through the artist’s vulnerable exposure of his pain. Although finding the words to express our encounters with greatness can be difficult, one of the better descriptions I have heard is from the 18th-century poet Goethe, who after viewing a particular Hellenistic marble sculpture wrote, “The mere knowledge that such a work could be created and still exists in the world makes me twice the person I was.” That basically says it all. Great art makes you better for having experienced it. When it’s really great, it does indeed take you to a better place and can leave an impression that lasts a lifetime. What a privilege for the artist who can partake in creating such a moment, and what a gift to those who receive it. Philip Koch - Allison, I had never heard that quote you used from Goethe but it perfectly captures a feeling I've often had when I've been "gotten" by a particular painting by a real master. As you say, "That basically says it all."